That athletic elderly man in shorts was the hippest man in the crowd. 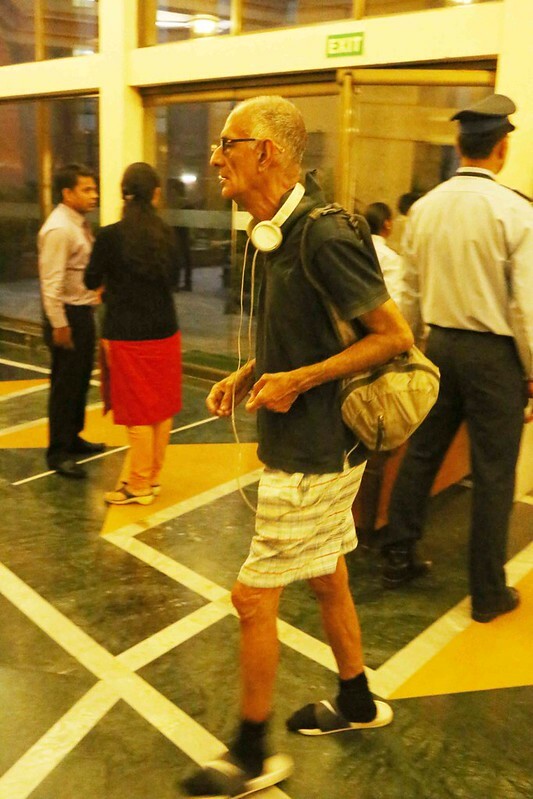 He arrived alone, stayed by himself and looked meditative with a pair of white headphones slung around his neck. 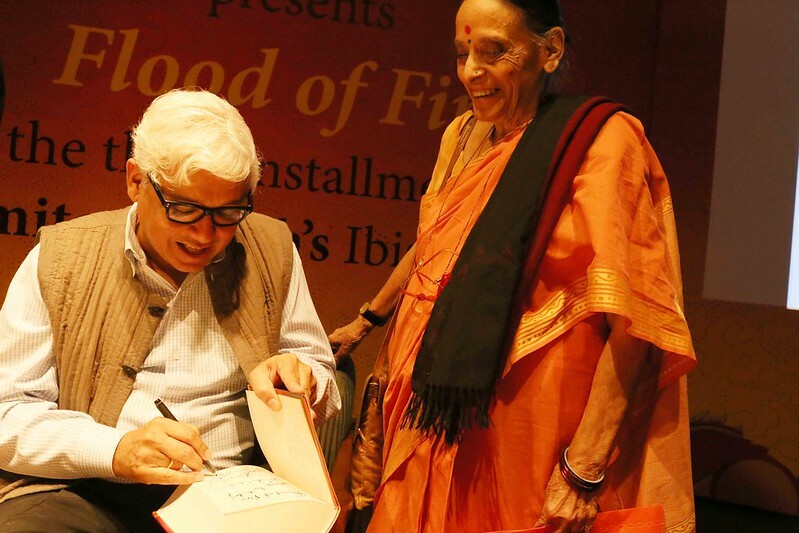 One cool summer evening The Delhi Walla went to the launch of Amitav Ghosh’s new novel, Flood of Fire, at Stein Auditorium, India Habitat Center. The liveliest part was the brief period when big names sauntered in through the metal detector. 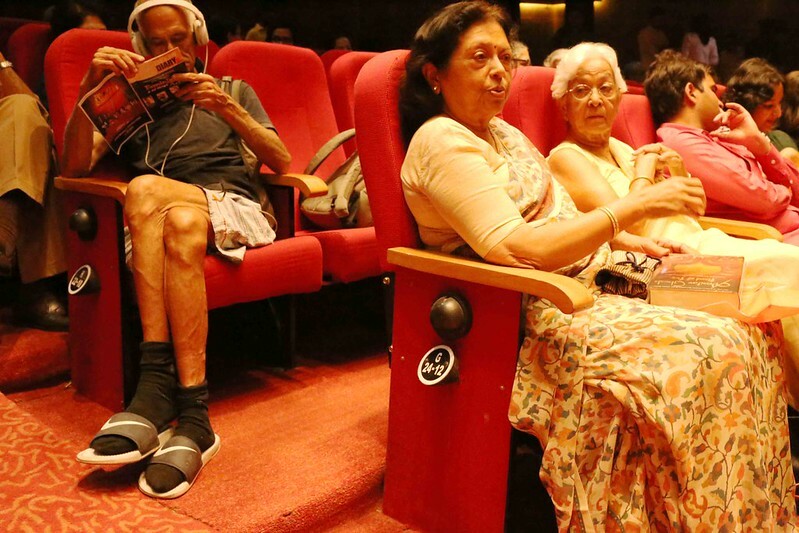 Retired Chief Justice Leila Seth (looking lovely as always) was an early bird and, Chief Justice-like, she marched straight to the front row. 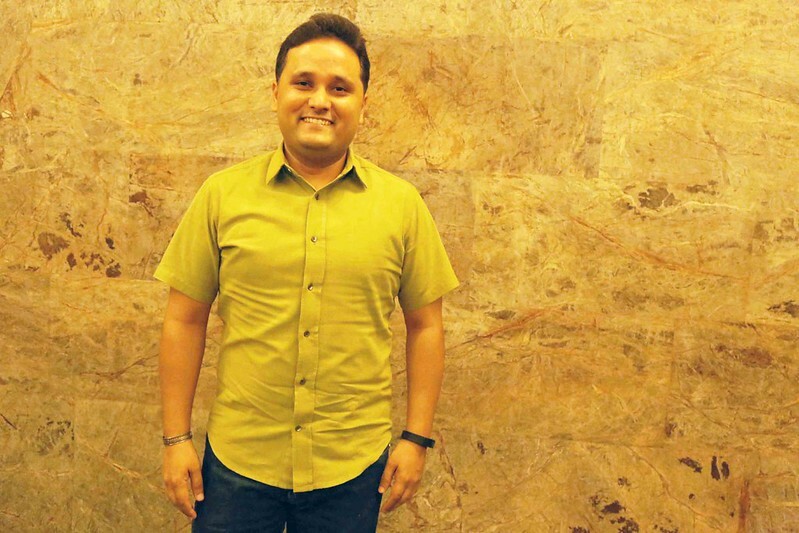 The Bombay-based novelist Amish Tripathi entered solo and looked extremely cheery—his new novel is soon hitting the stores. 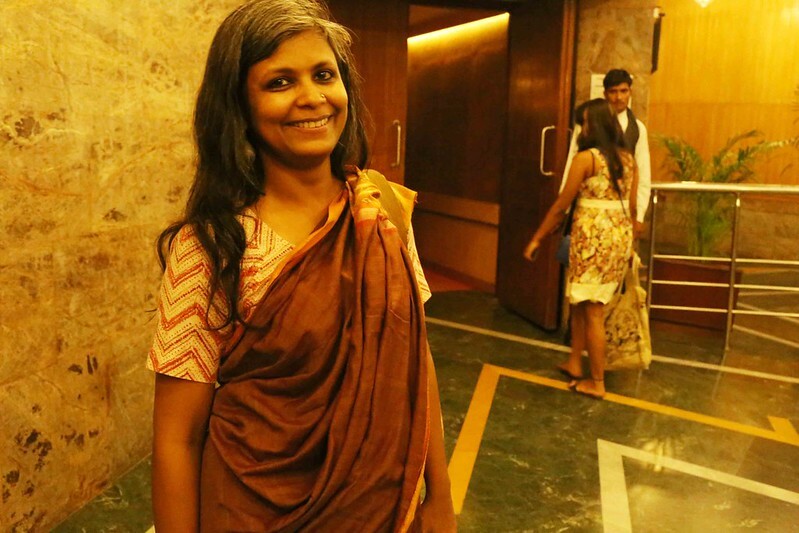 The Oscar for wearing the evening’s most tweetable outfit must go to novelist Meenakshi Reddy Madhavan. 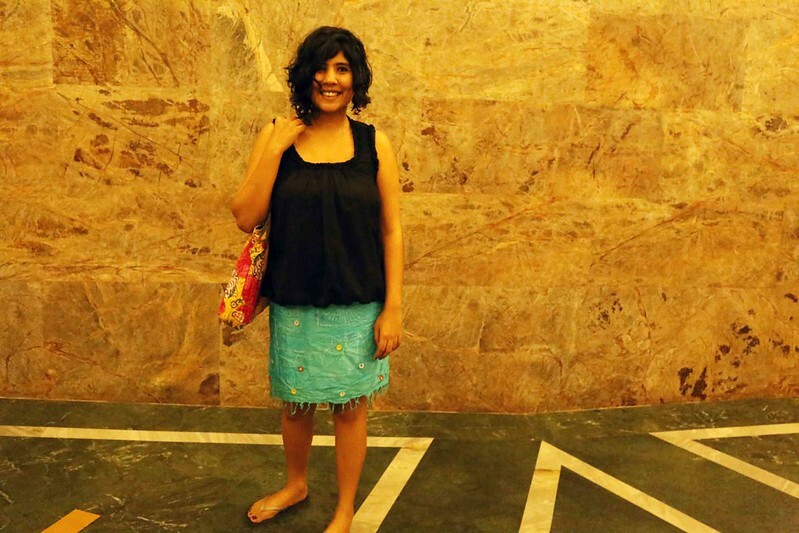 “It’s a very old wrap around batik skirt,” she said, adding, “The top is a hand-me-down from a friend.” Elizabeth Kuruvilla, the influential books page editor of Mint Lounge newspaper, was wrapped in a sari – she is rumored to be a merciless reviewer who avoids being photographed. 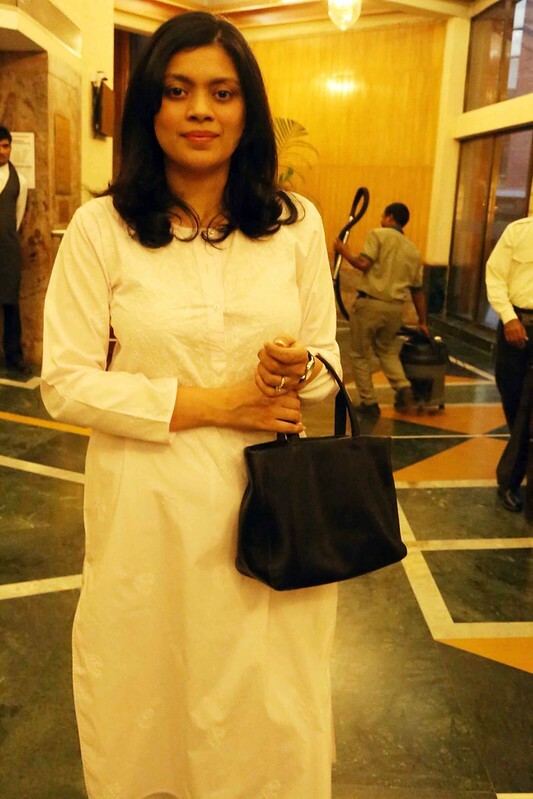 And Meru Gokhale, the new boss of Penguin Books India, looked like a Hindi movie dream sequence – she was in all white with a black handbag. 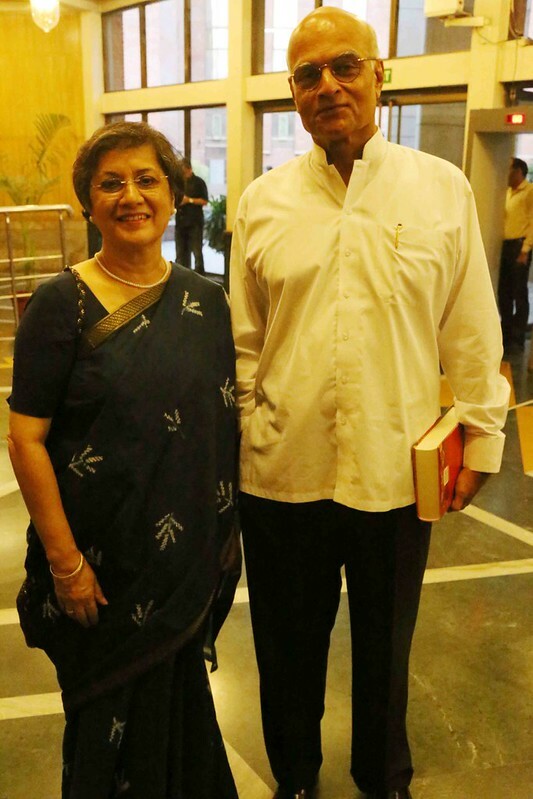 Also spotted: Penguin’s ex-boss Chiki Sarkar (with twin sister Buku) and the usual Delhi nobility of veteran husbands and their long-time wives. 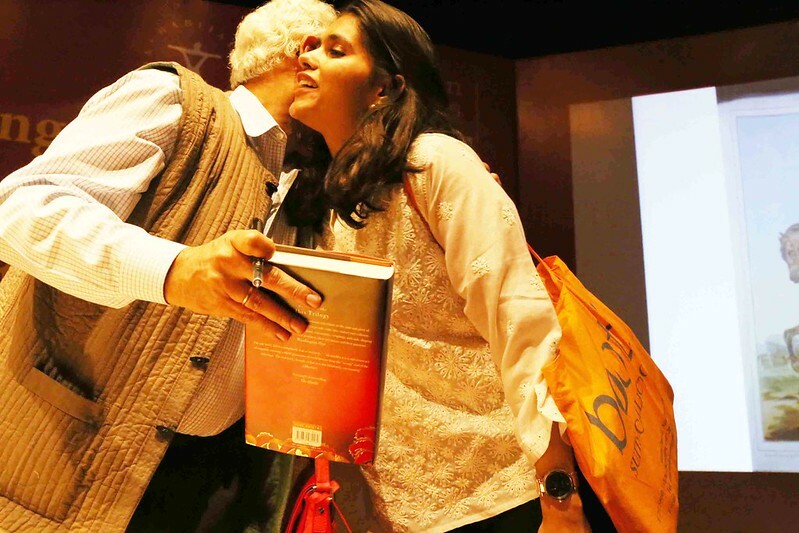 The white-haired Amitav Ghosh hoodwinked the paparazzi and slipped in through a secret passage. 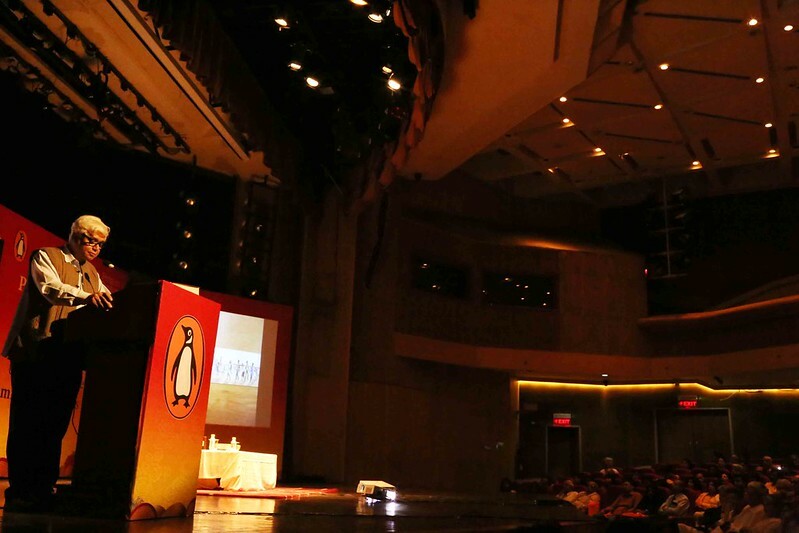 He did not try to make any impression on the stage. May be he has left it to his book to do all the publicity cabaret. I love pic no. 3 the most (unnamed coolest man). He’s laughing because he’s on his way to the bank. Wow, the coolest man was indeed cool. Have you started reading the book? Can’t wait to get my hands on it. 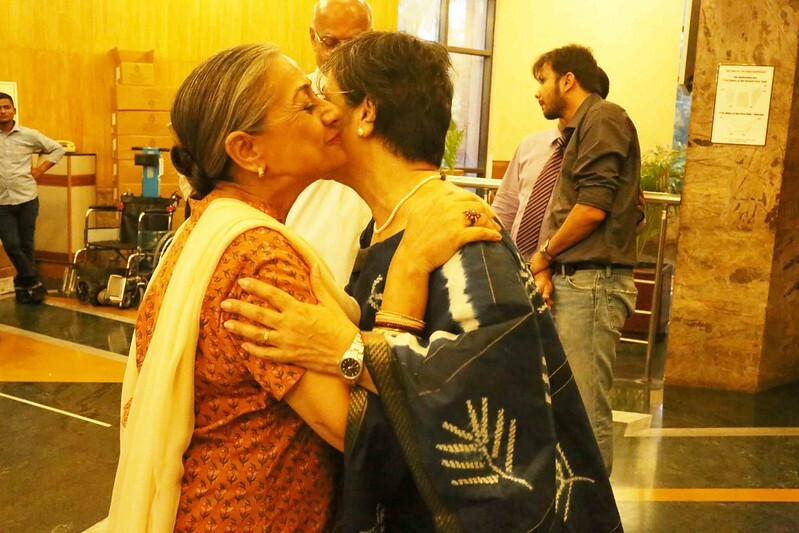 Once upon a time MAS use to write down-to-earth stories about the REAL people of Delhi.